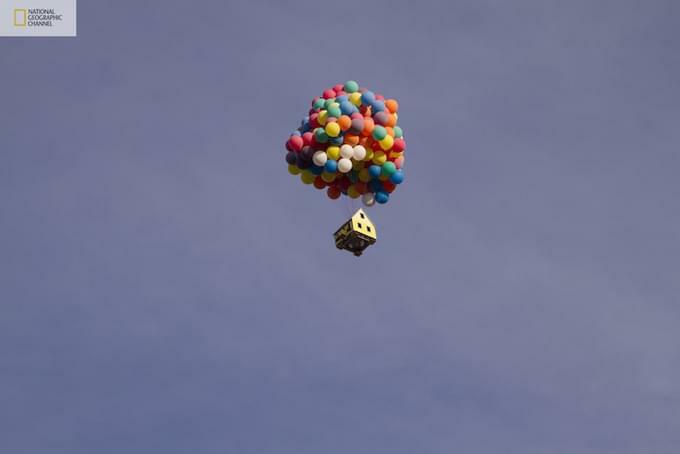 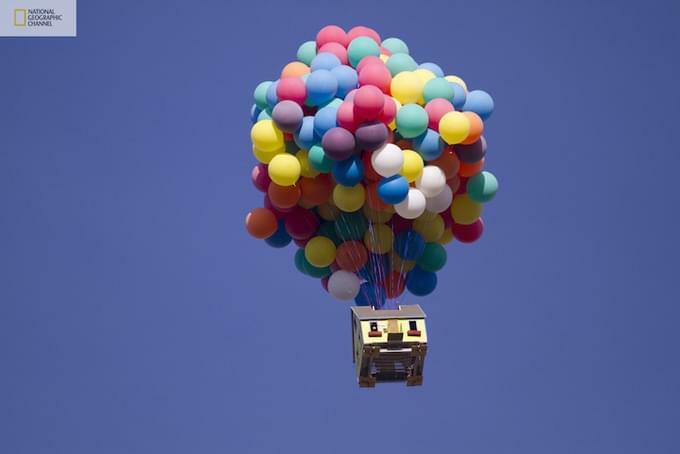 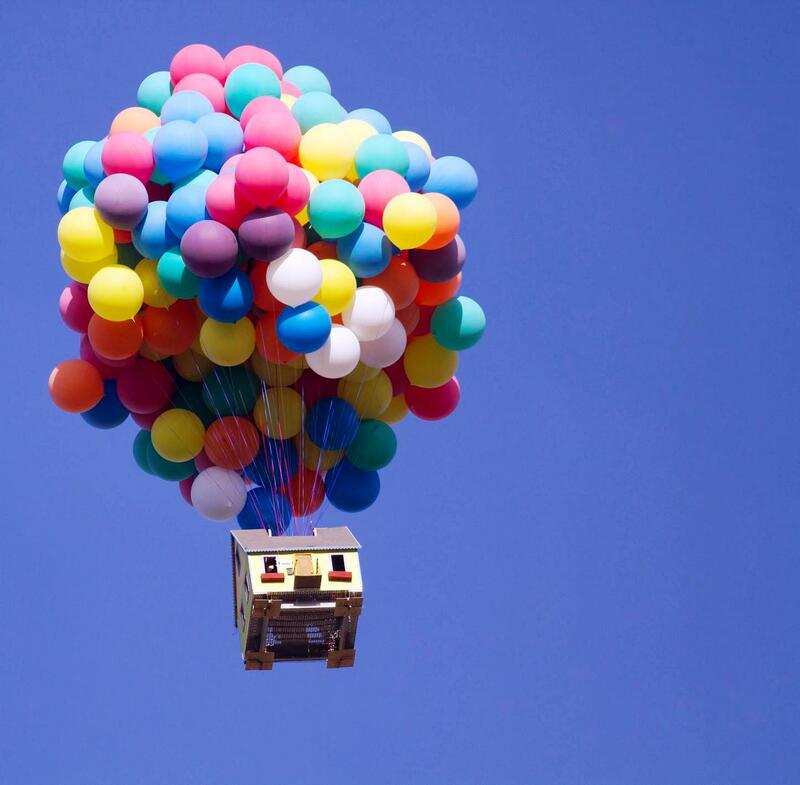 National Geographic Channel have created a real-life version of the animated film Up — launching a house thousands of metres into the air using balloons. 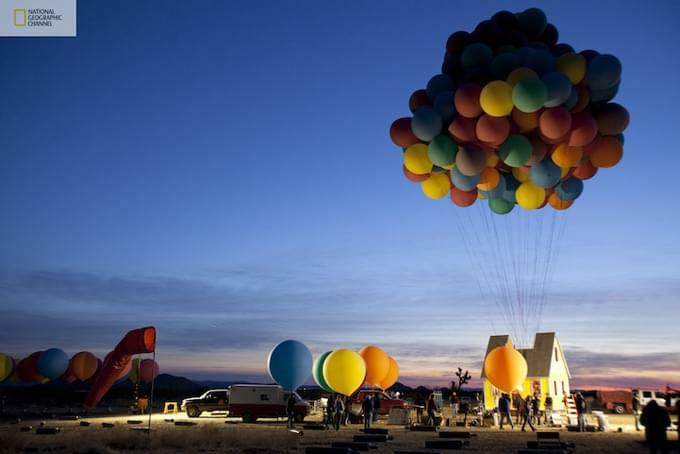 A team of scientists, engineers, and two world-class balloon pilots successfully launched a 16′ X 16′ house 18′ tall with 8′ coloured weather balloons from a private airfield east of Los Angeles, and set a new world record for the largest balloon cluster flight ever attempted. 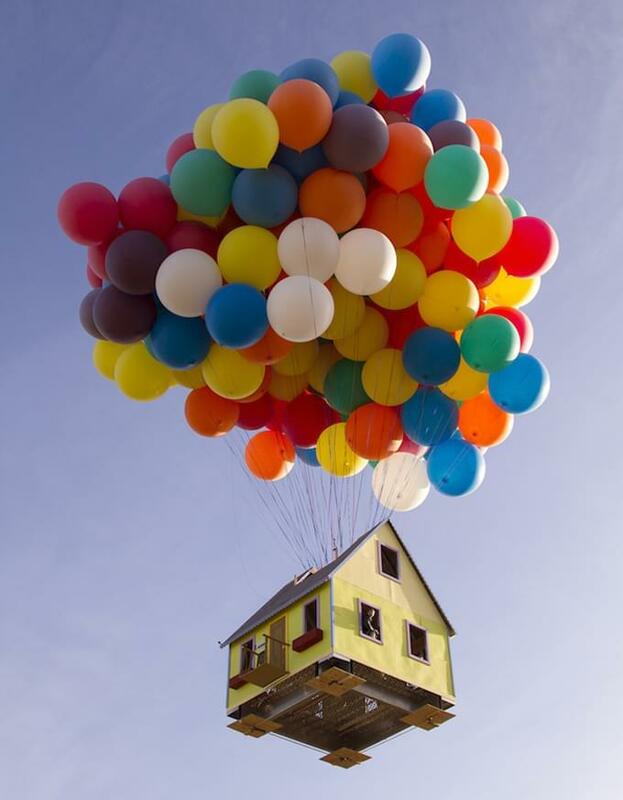 Using 300 helium-filled weather balloons, the lightweight building reached an altitude of more than 3000m and remained in the air for about an hour.